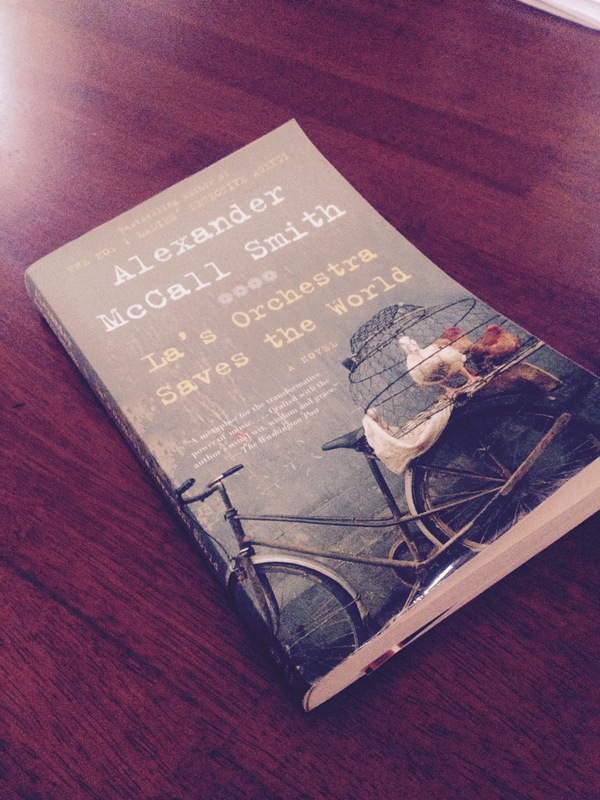 A book I love dearly is “La’s Orchestra Saves the World,” by Alexander McCall Smith. I had borrowed it from the library a while ago. I read it, loved it… and returned the book. There was something about the story that resonated so deeply with me… that I couldn’t stop circling back to it in my thoughts, again and again, in the months to come. So I bought the book and read it again. Loved it in a different way this time. The book tells the story of La (Lavender is her name), a young woman living in London with her charming husband. When her marriage collapses, La leaves London to go live in Suffolk, a small town in the English countryside. She arrives to a home that is in dire need of repair, love and attention. She gets to work, prettying up the home and making it inhabitable. She meets her neighbors and starts a new little life, quiet and hardworking. World War II is looming on the horizon. La feels lonely and isolated in her new environs. She has no one to share her thoughts with except the hens she tends to on a daily basis. La’s life changes when she meets Feliks, a Polish airman at the local army base. The story unfolds against the backdrop of war and its surreal possibilities, finally ending many years later on a happy, loving note filled with the voices and laughter of children, friends, and family. At a point in the story, La wonders if she is a handmaiden. A person who is always watching, never acting… One who feels fervently but expresses little. As she busies herself in her little home — tending to hens, growing potatoes, hanging laundry, cooking, cleaning — she wonders about her insignificant contribution to the war efforts. She is not a nurse or an activist or a soldier (did females fight in the war? Probably not.). She perceives her life to be limited, circumscribed by the boundaries of her little village and the mundane existence of its inhabitants. We live in a world that is ever telling us to do more, travel more, work more… be more. There is no end to being busy and achieving… stuff, whatever that means. I made myself believe that that was the right attitude. That was the way of growth, progress. I was always aware that this idea didn’t resonate with my inner self and I lived with that disagreement for many years, willing myself to be part of this march onward. I think La’s story cemented an idea that had been germinating within me for a while. I am a homebody. I like a little life. I am not exactly inclined to travel and discover the world. I derive nourishment from my home and the little rituals I engage in. I don’t regard house chores as dull or a drag. They provide a certain predictable rhythm to my life. I don’t have the drive to excel as a home-maker or a career woman. I am the happiest when I have books, tea, cooking on my agenda. All in all, a life that is equal parts cozy and nourishing, where I have time at hand, family a phone call away, old heartwarming films to watch, and Malayalam in my ears — yes, that suffices, thank you very much. Wow, this post really resonates with me. I’m a homebody myself, and it took me a long time to understand it, and choose it as a way of life. I was surrounded by people who had high ambitions, and were pursuing them with hard work and zeal. Me, I just wanted a little life. But I wasn’t confident enough to announce it to the world for a while!! It changed when I had my child – I realized it was time I had the courage to be my own self, and there was no way I was going to leave my child’s care to others. So I became a stay at home mom! 🙂 I thought you might feel the same.